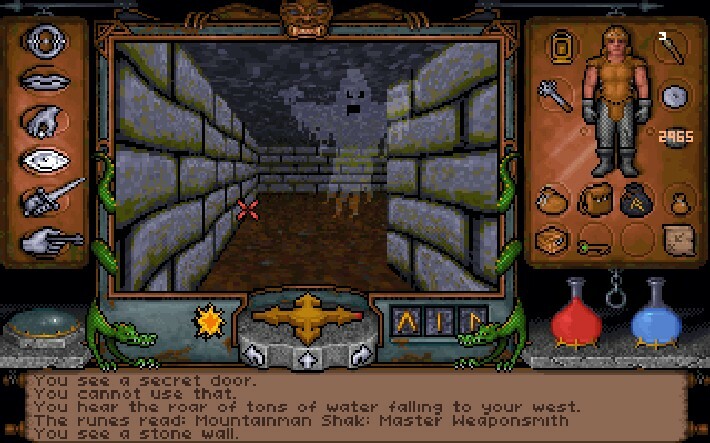 Despite its advanced years, Ultima Underworld: The Stygian Abyss remains one of the finest dungeoneering experiences you're ever going to have. There's a certain risk in replaying the formative games of your youth a great many years after they were first released. How will they hold up? Is the magic still there, or will you taint your memories by stripping away the protective veneer of time and distance? 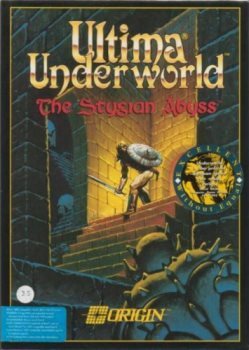 Ultima Underworld: The Stygian Abyss (available at GOG for $5.99) was a revelation when it came out in 1992, but so much time has passed that just thinking about opening that door left me anxious and hesitant. 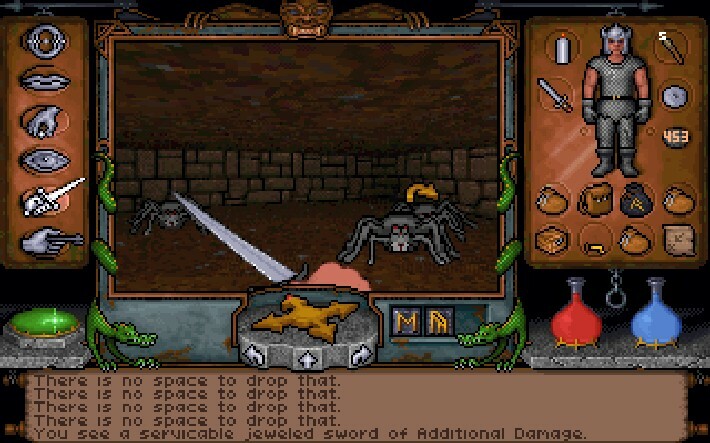 So it was with great, great pleasure that I discovered that the magic is indeed still there, and that Ultima Underworld remains one of the finest - if not the finest - first-person dungeon crawlers ever created. It may well be a struggle at first, especially if you weren't, you know, born in 1992. 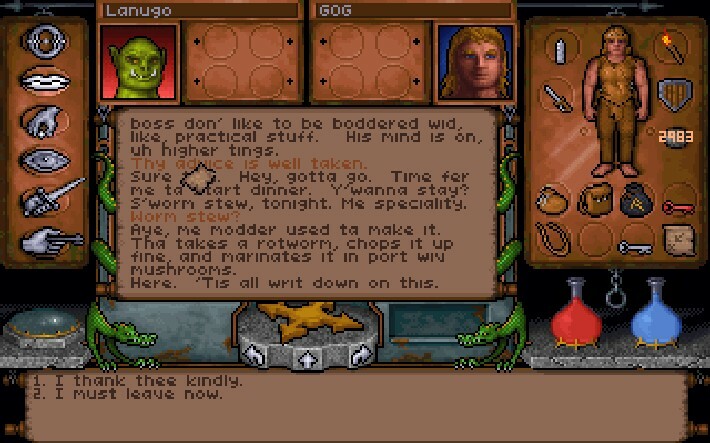 First-person games were still in their infancy back then and none that I can name offered anywhere near the complexity of Underworld, which served up full freedom of movement through sprawling, multi-tiered levels, a full-featured RPG system with wide-open character development options, a rune-based magic system, branching NPC conversations and more. But the trade-off is an archaic and cumbersome control scheme that will take no small amount of time to get used to. There's no mouselook and keys cannot be natively remapped, although they can be changed (at your own risk) through the included DOSbox wrapper. 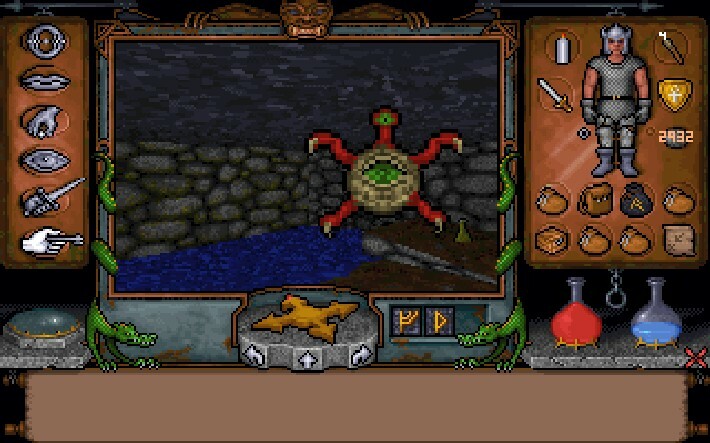 Ultima Underworld works so well because it provides amazing depth and variety of gameplay, coupled with an uncompromising attention to detail. Each level offers unique environments and you can spend almost as much time talking to monsters as fighting them. You can also skip significant portions of the game if you don't feel like horsing around and virtually everything is worth paying attention to. A goblin might tell you about the disappearances of his fellows, always preceded by an odd, distant splashing noise, for instance, and if you choose to investigate you may well discover an amusing and exciting secret - albeit one you might be better off without. The game isn't without flaws. Combat isn't much to write home about - you can stab, slash or chop, but it doesn't have anywhere near the elegance or flexibility of more modern games. It's also pretty easy to get hung up on corners, and running can result in jittery animation, especially if you're in the water. Thankfully, the controls are simple and adequate, and its shortcomings are alleviated somewhat by the the fact that you won't necessarily be spending a lot of time fighting anyway. The writing is also overloaded at times with awkward uses of "thou," "wilt" and other such Ren Faire babble. That said, some of it is actually quite clever and if you're not the conversational type, you can butcher your way through the entire game, although it won't be easy - and you'll be missing out on some of the best bits, too. 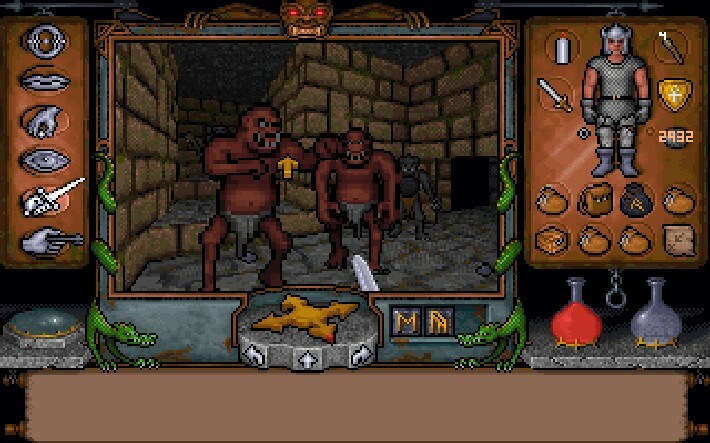 There's no getting around the fact that Ultima Underworld is old - very, very old. Even when you come to terms with the controls, the evidence of its age is unavoidable: There are no cutscenes to speak of, only four save slots, and the map, while gorgeous, must be accessed through an inventory item rather than just a shortcut key combo. It won't spoon-feed you, either, and if you're not paying attention you're likely going to run into some kind of grief down the line. But if you can adapt to its old-school ways, you will find yourself delving through one of the most wonderful, magical and memorable dungeons you will ever experience. It's not just among the most important RPGs ever made, it is relevant, even today, and that's nothing short of amazing. 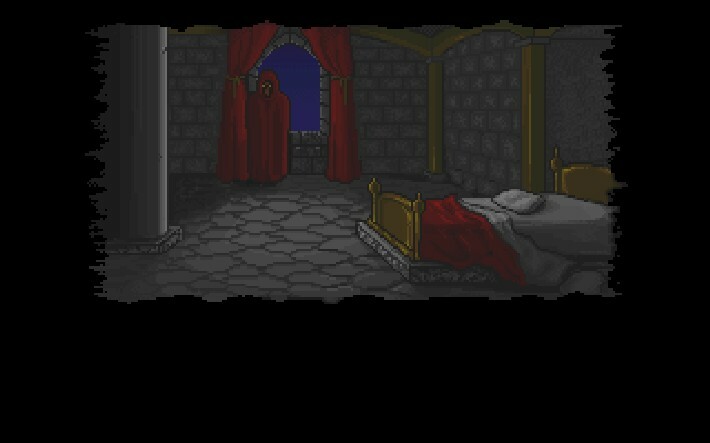 That's a big promise, but one that Ultima Underworld very handily keeps. Come back next week for a look at the classic god-game Populous.